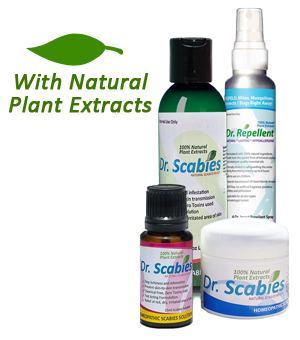 Dr. Scabies is an all-natural brand of products that work together to help give relief to scabies infestation. We have specifically formulated each product for effectivity and safety for the patient with scabies. We only use natural ingredients in Dr. Scabies products so it is very safe for personal daily treatment and also safe for the environment. If you or a family member have been infested with scabies, rest assured that Dr. Scabies treatments will be your best choice. We have spent years perfecting our formula to fight scabies and introduce them to the public at very affordable prices so that anyone with scabies can be treated safely and effectively. Highest Concentration Formula on the market, no pesticides, no side effects! 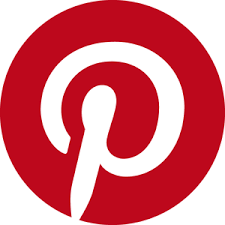 99.9% Satisfied customers Worldwide, Overnight Shipping Available! 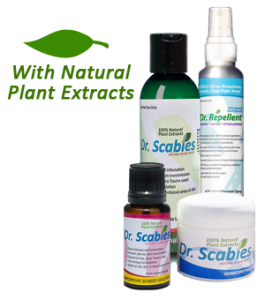 Dr. Scabies– is a Natural treatment! No pesticides, no side effects!